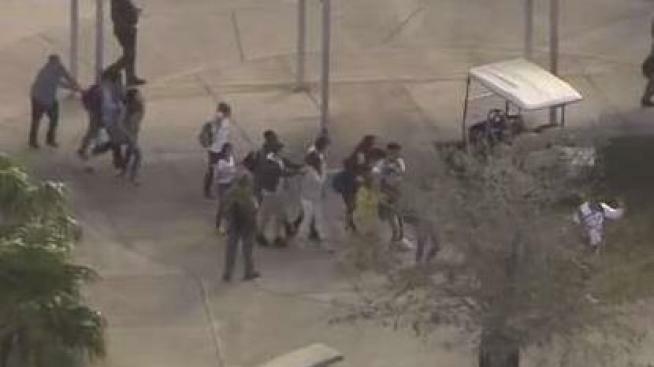 New video released shows Nikolas Cruz before the shooting at Stoneman Douglas High School. NBC 6 Reporter Tony Pipitone explains. In chilling cellphone videos released Wednesday, the suspect in February's massacre at a Parkland high school announced his intention to become the next school shooter, aiming to kill at least 20 people and saying "you're all going to die." Prosecutors released three videos in response to public records requests filed by media organizations, including NBC. The videos were found on the cellphone of suspect Nikolas Cruz after the Feb. 14 shooting at Marjory Stoneman Douglas High School that killed 17 people and injured 17 others. Cruz, wearing a ball cap and a cast on his right arm, introduces himself in the first video and says he is "going to be the next school shooter of 2018." He goes on to say that he wants to use an AR-15 to kill at least 20 people and specifies the high school in Parkland. "When you see me on the news, you'll all know who I am," he says and then laughs. "You're all going to die. ... Can't wait." WARNING: Graphic Content. In cellphone videos released Wednesday by the Broward County State Attorney's Office, the suspect in Feburary's massacre at a Parkland, Florida, high school describes his plans to carry out a mass shooting at Stoneman Douglas High School. In a second video, Cruz briefly discusses logistics, including that he will take an Uber to campus at about 2:40. He then says he'll walk onto campus, go up some stairs, open his bag to take out his weapon and start firing. 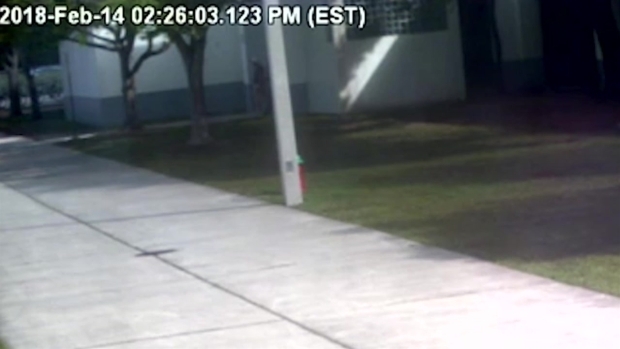 School surveillance video shows that was almost exactly what he did —the only difference being that he arrived at the school at 2:19 p.m. In the third video, apparently pointed at pavement, he talks about his loneliness, anger and hatred, and announces that the "day of my massacre shall begin." "I live a lone life. I live in seclusion and solitude. I hate everyone and everything. But the power of my AR you will all know who I am. I had enough of being told what to do and when to do," he says. "I had enough of being told what to do and when to do. I had enough of being told that I'm an idiot and a dumbass. You're all stupid and brainwashed by the political and government programs." He also referenced a former girlfriend, saying "I hope to see you in the afterlife." After the videos were released, Stoneman Douglas survivor and gun-control activist David Hogg, tweeted at a Florida newspaper, "Please do not post his name you are giving him what he wants, fame." Fellow student Cameron Kasky also took to the social media platform to express concerns over the videos' release, tweeting "School shooters can NOT be treated like celebrities. I don't want to hear their names or see their faces. Nobody does. Several other students and families and friends of victims made similiar comments on Twitter. Cruz is charged with 17 counts of murder and 17 counts of attempted murder in the attack. His lawyers have repeatedly said Cruz would plead guilty if guaranteed a sentence of life without parole, but prosecutors refuse to waive the death penalty. Cruz, 19, is a former Stoneman Douglas student. The Broward State Attorney's Office released the video because under Florida law, with few exceptions, evidence becomes a public record when it is turned over to the defendant's attorneys as part of the pretrial discovery process. Cruz's attorneys say they did not request evidence such as video from inside the building where the massacre happened and autopsy reports so they would not become public and "further hurt and inflame the victims' families and the community." "This is an awful case and today is more of that awfulness and further shows how severely broken a human being the defendant is," Broward County Public Defender Howard Finklestein, whose office is representing Cruz, said in a statement. Cruz spent several years at a school for children with emotional disabilities before being allowed to transfer to Stoneman Douglas. He spent several months there before being kicked out. His late mother also called 911 on him almost 20 times over the years and he had a history of killing animals then posting images on the internet and taking body parts as souvenirs.